The Sixers have certainly experienced more than their fair share of weird injuries to players over the last half decade, particularly to rookies. Even still, the latest news regarding Zhaire Smith is, I think, a new one. Per team source, Zhaire Smith suffered complications due to food allergy, which setback rehab from Jones fracture. Timetable pushed into 2019. Philly.com’s Keith Pompey later shed some additional information on the specific nature of the allergy. 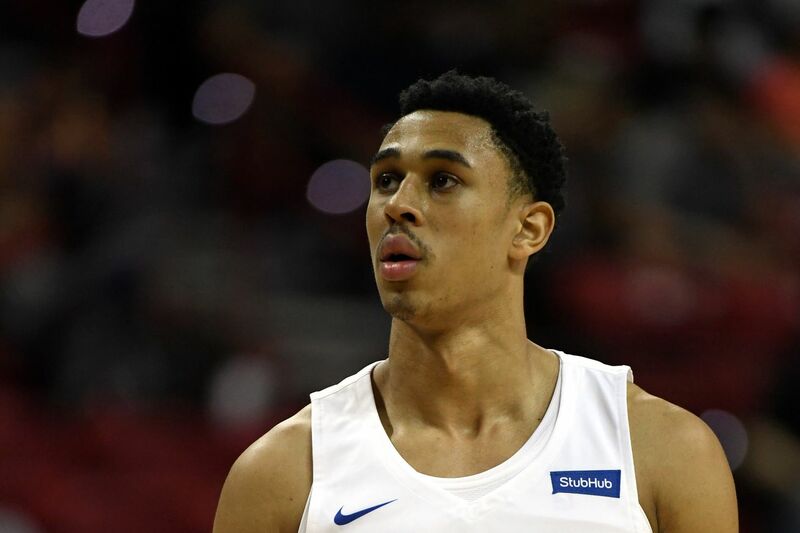 Zhaire Smith won’t return until 2019 at the earliest has to do with his allergic reaction to consuming food with sesame oil or sesame seeds in it back in September was more extensive than originally thought, according to a source. The Sixers rookie had a peanut allergy. Those nut allergies are no joke; ask any parent who isn’t allowed to send a kid to day care with a peanut butter and jelly sandwich. Entering the season, the timetable for Smith was to return around Christmas. Now, we’re looking at a vague 2019 return date and I’m having queasy flashbacks to Ben Simmons’ rookie year (the first one, not the second one where he won Rookie of the Year). Hopefully, this is the last we hear about Smith until someone updates us that he’s ready to return to practice. Until then, keep this kid away from the circus and baseball games. Don’t let him watch Sesame Street or come across any sealed doors that require an “Open Sesame” password. If the Sixers didn’t have bad injury luck, they wouldn’t have any luck at all.